Ribonucleotide reductase is an enzyme that catalyzes the formation of deoxyribonucleotides from ribonucleotides. We present for the first time a quantum-chemical study of the thermodynamics of reactions of naturally occurring potent inhibitors (trans-resveratrol, trans-piceatannol and hydroxyurea) of ribonucleotide reductase with tyrosine radical and cysteine radical, scavenging of which is crucial for the inhibition of the enzyme. Density functional theory has been applied to compute the Gibbs free enthalpy changes for these reactions in the gas phase and in the presence of water medium. Various reaction pathways have been analyzed. The results obtained prove that trans-resveratrol 4’-OH group is mainly responsible for effective reaction with these enzymatic free radicals. In water medium, the reactions studied are characterized by more negative values of the Gibbs free enthalpy changes than in vacuum. It was found that transresveratrol and trans-piceatannol may be efficient inhibitors of the enzyme (trans-piceatannol is more efficient than transresveratrol). Because inhibition of ribonucleotide reductase is essential for blockage of the cancer development pathways, the polyphenols studied may block diverse processes (including cancerogenesis) by inhibition of free radical reaction steps that occur during the catalytic action of this enzyme. 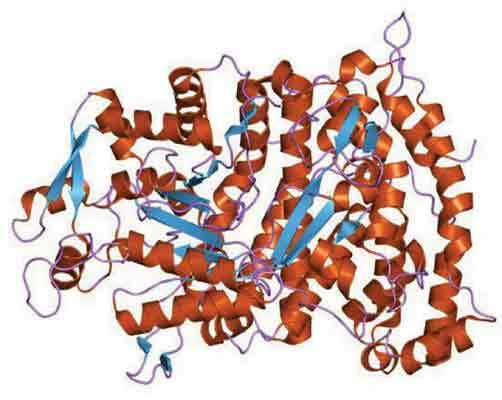 Enzyme inhibition, ribonucleotide reductase, trans-resveratrol, trans-piceatannol. Department of Theoretical Chemistry, Faculty of Chemistry, A. Mickiewicz University, ul. Umultowska 89B, 61-614 Poznan , Poland.